I was listening to the song Dancing Daze by the Avett Brothers while driving Dylan to his Waldorf camp with Miss Monique this morning. So grateful that after a very serious childhood and early adulthood, I too am finally learning how to dance my days. And Dylan is the ultimate inspiration for me. These lyrics fit him to a T. How do you do it, Dylan? Your mom is so grateful for you and all of your dancing ways. It’s our birthday month, and you were my birthday present—my very best ever—in 2004. 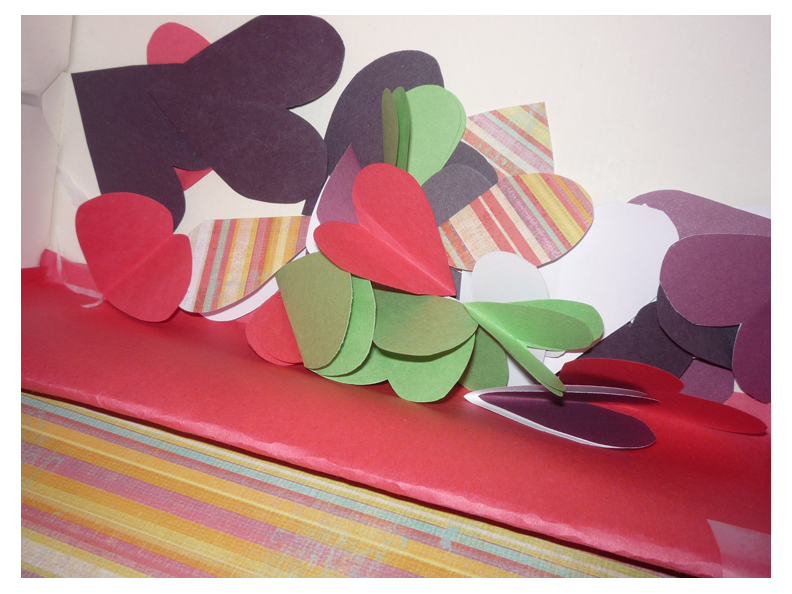 Although I love to play with paper, scissors and glue, I tend to get overwhelmed when doing crafty projects with my kids. I wish this were not the case, but the mess generated and the somewhat limited time frame we always seem to have combine to make me a little stressed out. 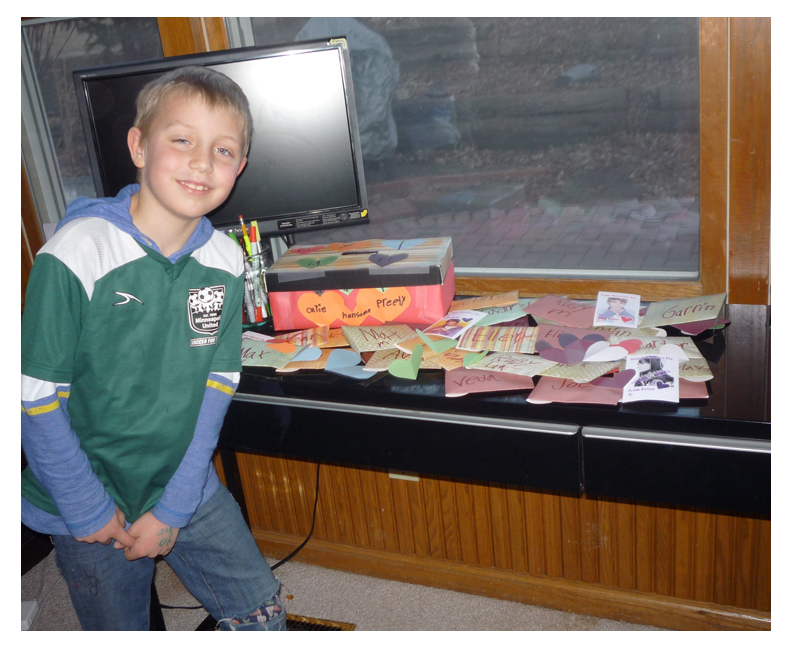 The one exception seems to be the Valentine’s Day box project for school. 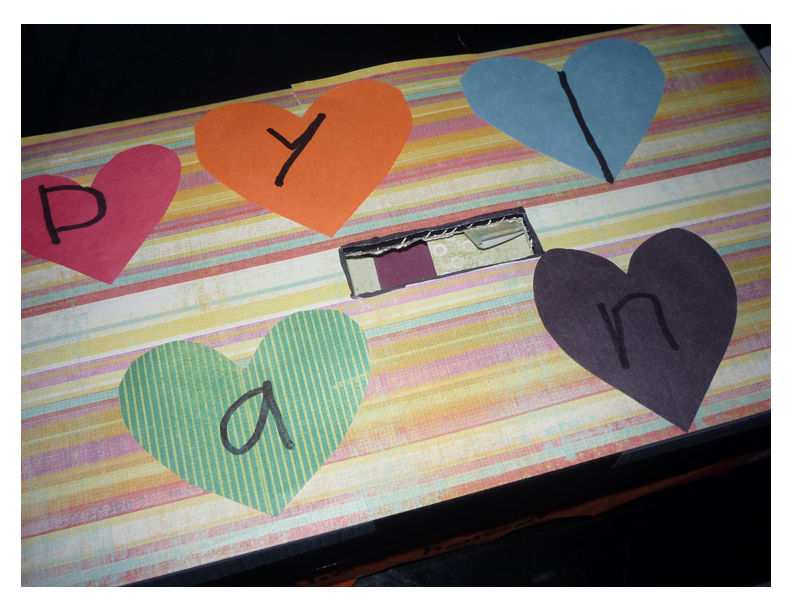 I used to have so much fun with Jesse creating his box every year and now, with Dylan, it’s just as wonderful. 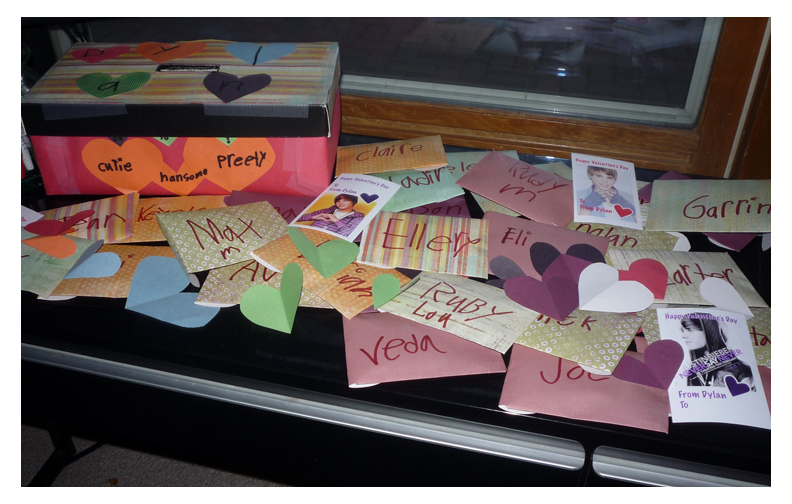 Yesterday we pushed ourselves even further creatively, designing our own Valentine’s Day cards and making our own envelopes. 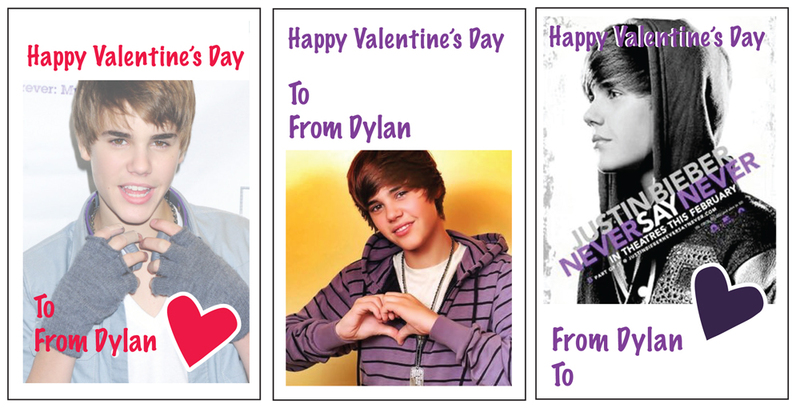 Dylan requested Justin Bieber themed cards—who am I to deny him?–so I designed three varieties. 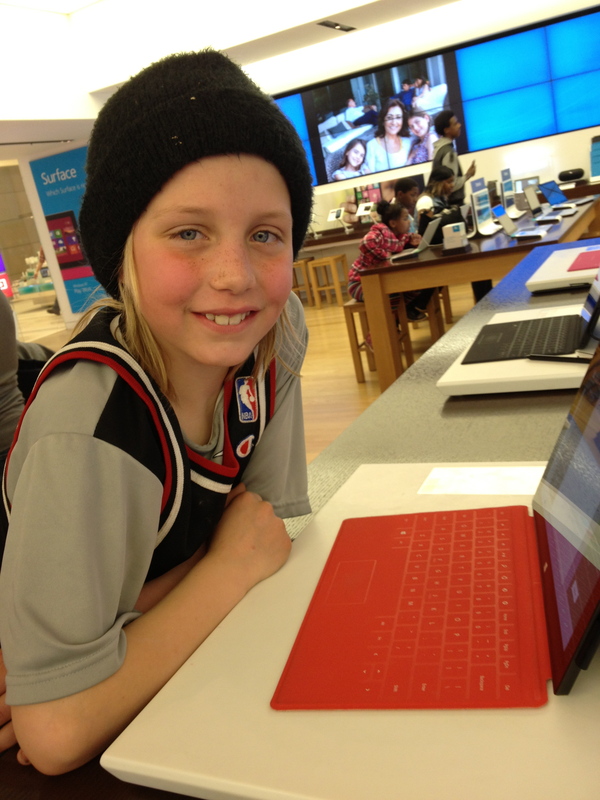 Dylan even thoughtfully asked for one featuring Selena Gomez especially for his classmate named Selena. 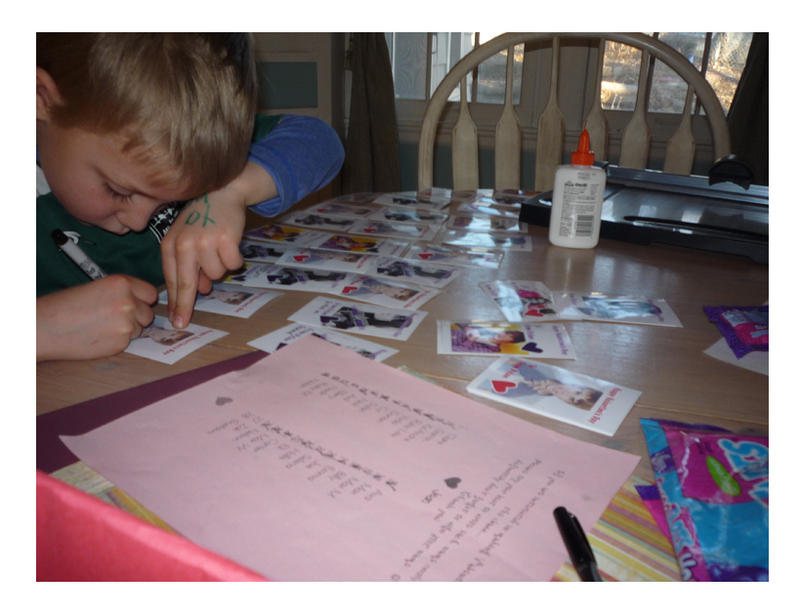 I hope you’ll enjoy these photos of my Sunday afternoon with my little Valentine. One day last week, Dylan came home from 2nd grade full of great insight. Seeing that I seemed a little sad, he started to share with me what he had learned that day. Mom, do you know what I learned today? Everyone is walking around with an invisible bucket. And if someone’s bucket is empty, it’s because they’re sad. And if the bucket is full, they’re feeling happy. If I see that someone has an empty bucket, I can say nice things or give them a hug and it will help to fill their bucket. Mom, do you want a hug? Can I help fill your bucket? I hope your bucket is full again soon. A conversation with Dylan always fills my bucket, but this one shows particular depth and emotional intelligence. I am so grateful for the spirit of caring and community they are encouraging at Armatage Montessori School here in Minneapolis. I believe that this might be the book that inspired the conversation.